This is a versatile recipe and requires no cooking! You can add other favorite bits to make your own twist! The original recipe is from The Barefoot Contessa by Ina Garten. 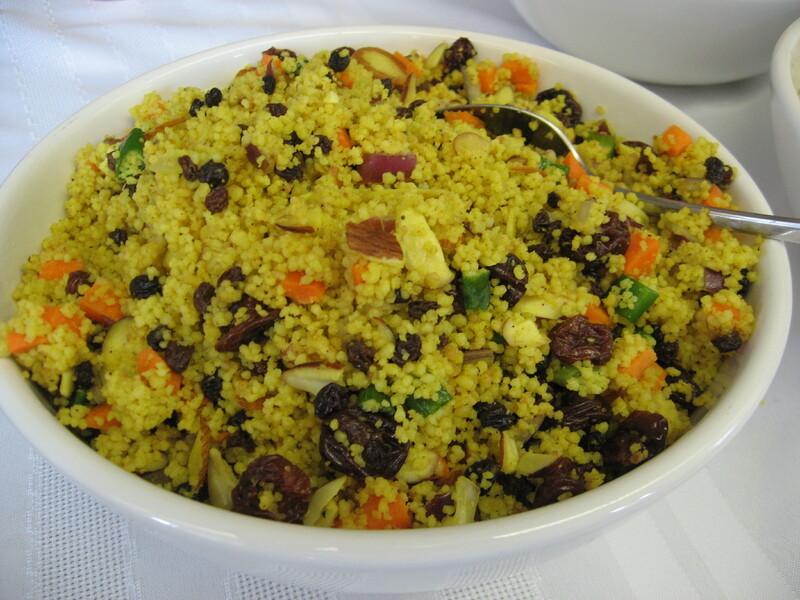 Try using cooked quinoa in place of the couscous to make it higher in fiber and gluten free. In a medium bowl place the couscous. Melt the butter in the boiling water and pour over the couscous. Cover and let the couscous soak 5 minutes. Fluff with a fork. In a small bowl whisk together the yogurt, olive oil, vinegar, curry, tumeric, salt and pepper. Pour over the fluffed couscous and mix well. Add the carrots, currants, almonds, scallions and red onions. Mix well and season to taste.